Increasing housing options for renters at all income levels across Washington State. The practice of a landlord choosing whether to accept an alternative source of income will be illegal beginning September 30, 2018. Landlords will no longer be able to discriminate against tenants who use federal, state or locally issued benefits to pay their rent. A law passed in the 2018 legislative session makes refusal to consider an applicant's or existing tenant's alternative source of income, including subsidies, illegal. What is covered by the new law? 2) A landlord may not publish, circulate, issue, or display, or cause to be published, circulated, issued, or displayed, any communication, notice, advertisement, or sign of any kind relating to the rental or lease of real property that indicates a preference, limitation, or requirement based on any source of income. If a landlord requires that a prospective tenant or current tenant have a certain threshold level of income, any source of income in the form of a rent voucher or subsidy must be subtracted from the total of the monthly rent prior to calculating if the income criteria have been met. benefits or subsidy programs including housing assistance, public assistance, emergency rental assistance, veterans benefits, social security, supplemental security income or other retirement programs, and other programs administered by any federal, state, local, or nonprofit entity. “Source of income” does not include income derived in an illegal manner. Any landlord who provides or offers to provide housing to a tenant that receives a long- or short-term housing subsidy during their tenancy. What types of claims can a landlord seek reimbursement for from the fund? The landlord can claim reimbursement of up to one thousand dollars for repairs, to make a unit that fails an HQS inspection pass the subsidy inspection. The landlord must have paid the first $500 in repairs. Reimbursement may also include up to fourteen days of lost rental income from the date of offer of housing to the applicant whose housing subsidy program was conditioned on the rental property passing inspection until move in by that applicant or delays resulting from the inspection. The landlord must make repairs and then apply for reimbursement to the department as stated on the government website. Reimbursement for damages beyond wear and tear. Items that are eligible for reimbursement include, but are not limited to: Interior wall gouges and holes; damage to doors and cabinets, including hardware; carpet stains or burns; cracked tiles or hard surfaces; broken windows; damage to household fixtures such as disposal, toilet, sink, sink handle, ceiling fan, and lighting. Other property damages beyond normal wear and tear may also be eligible for reimbursement at the department’s discretion. Claims for reimbursement may be made at any time during the tenancy, up to $5,000 in total reimbursement. While claims or damages may exceed $5,000, total reimbursement from the program may not exceed five thousand dollars per tenancy. If a landlord obtains reimbursement from the program, the landlord may not seek any further collection action from the tenant. Complete the entire claim submission form found here. All reimbursements for eligible claims shall be made on a first-come, first served basis, to the extent of available funds. Landlords may also submit a judgment from an unlawful detainer action or small claims civil action to obtain reimbursement from the Landlord Mitigation Fund. Is this program only for landlords that serve low-income households? Eligibility is based on the tenant receiving a subsidy. While subsidies are primarily income based, we will not be reviewing income qualifications for landlords to receive an award. Properties owned by a Housing Authority are the only properties that are not permitted to use the Landlord Mitigation Program. Why do you require a Statewide Vendor ID (SWV) number? All payees from State offices are required to have a State Vendor ID number. This will require the payee to complete an application and W-9 and submit to the state. Property Managers may use one SWV for all properties but the State will send the owner of the SWV a 1099 at the beginning of the following year. Commerce recommends using a unique SWV for each individual owner. Important note: Do not submit a claim without this number. It will be denied if the number is not included. Will Commerce consider claims for tenants that moved in/out prior to June 7th, 2018? Unfortunately, the Landlord Mitigation Program is not a retroactive law and claims for move-in or move-out repairs or rent loss that occurred prior to this date will not be considered. For clarification, post-move in claims will be considered for tenants that occupied the property prior to June 7th, 2018 so long as the damages occurred after June 7th, 2018. As of June 7th, 2019 claims for damages that occurred over twelve months prior to the date of claim submission will not be reimbursed. What if I didn’t get a copy of the housing voucher or Housing Assistance Inspection form? 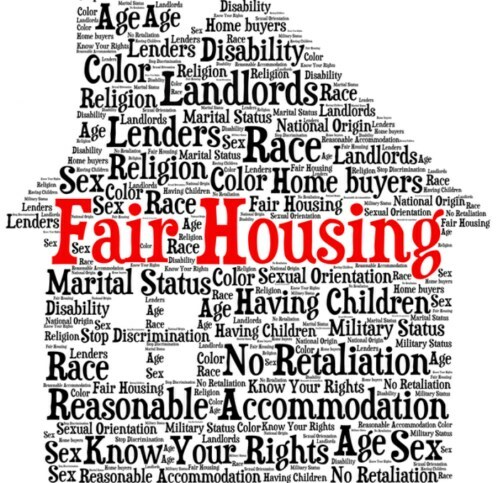 The easiest solution to satisfy this requirement is to contact the housing assistance program that provided the landlord with the rent assistance and ask them to provide copies. If a landlord not able to collect copies from the Housing Assistance program, a signed statement from the tenant or case manager stating the amount and length of rent assistance will suffice. What is the difference between a Housing Assistance Inspection Report and a Move-In Condition Report? A Housing Assistance Inspection Report is the form that is completed to verify that the property is habitable and meets the minimum standards of the Housing Assistance program that is offering a rental subsidy. A Move-In Condition Report is a form that is completed by the tenant and landlord to document the condition of the property at the time of move-in. Often, this same form is used again to document the condition of the property at move-out for ease of comparison. Go to comer.WA.gov/landlord fund for a sample form (Landlords have permission to use this form to satisfy this requirement). Both documents are required for a landlord’s claim. When can I submit a claim? Any combination of claims can be submitted but the maximum of all awarded combined claims cannot exceed $5000. Any claim awarded prohibits the landlord (or any collection agency) to take legal action against the tenant for damages attributable to the same tenancy. Landlords may only submit one claim for modifications required to pass an occupancy inspection. How much can be reimbursed for a pre-move in claim? Landlords can receive up to $1000 in reimbursement for repairs required for the property to pass a housing assistance inspection. The initial $500 of the repairs will not be reimbursed. Any amount (up to $1000) over the initial $500 will be reimbursed if the claim is approved. In addition to the amount listed above, landlords may claim up to fourteen days of rent loss that caused the move-in to be delayed by the needed inspection and/or repairs. Evidence of the delay must be submitted with the claim. How much can be reimbursed for damages after move-in? Landlords can receive up to $5000 in repair reimbursement. The minimum claim must be at least $500. Unlike the pre-move in reimbursement, the initial $500 is claimable. Important note: Any monies paid on a post-move in claim will nullify the landlord’s ability to pursue any other funds owed from the tenant through any means or agency. What damages can a landlord claim? Damages include (but are not limited to) physical damage to a property beyond normal wear and tear, unpaid rent and charges associate with tenancy including late charges, non- compliance charges, legal expenses and utility charges. Important note: The program does not pay fees or lease-break charges. How do I use the Security Deposit? Any claim that is submitted for move-out charges must first have the security deposit applied to the charges owed first. Landlords will receive receipt of their claim submission immediately upon submission of the online form. Claimants that mail the claim to Commerce will receive a receipt within ten business days. Claims are reviewed in order of submission. Commerce cannot guarantee a specific timeline, only that each application will be reviewed in the order received. Funds will be disbursed to claims upon approval and then fund availability. If funds are not available at the time of approval, the claim will be held in a pending status until funds are available in order of submission (approved claims will be paid in order received). Claimants with a denied claims will be notified immediately upon decision. Can I appeal a denial of my claim? Most denials will be denied due to lack of supporting documentation, photos or simply lacking information on the form. If the claim is denied for any of these reasons, please submit a new claim with all corrected information and supporting documents included. The new claim will drop to the bottom of the cue and may significantly delay a decision. Claims that are denied for any other reason may only be resubmitted with a judgement against the tenant included. Can a Rental Assistance Agency obtain reimbursement from the program? 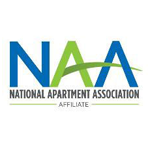 Unfortunately, this program is designed to reimburse landlords only. Third-party agencies and subsidy providers may not receive funds from this program. Can a property management company collect reimbursement on behalf of a Housing Authority? The law is clear on the only exception that was included. 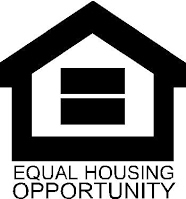 That exception is that the program will not pay for damages to a property that is owned by the Housing Authority. This is primarily due to the fact that HUD offers their own form of a Landlord Mitigation Program. Why is the information provided for a claim subject to Public Record Requests? Public Disclosure Act, chapter 42.56 requires that most information gathered for the purpose of State business be readily available for public review. While most information is readily available, landlord and tenant direct contact information is not publicly shared nor are the supporting documents, claim findings or fraud identification that contain sensitive information.